How to use Foodary archive helps you get the most from this Foodary website and related diet help services. Foodary is full of alkaline foods information. I plan to make choosing alkaline foods easier with examples of alkaline diet plans. Standard plans can help you get started with an alkaline diet. 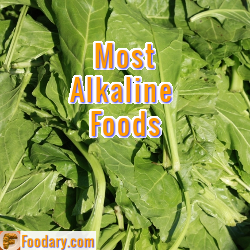 However, I prefer to help you find the alkaline foods that are right for you. That means working with you to choose the foods that match your health and your tastes. I believe an alkaline diet is basically a healthy diet. But a diet that makes you alkaline might not be healthy for you. If you hate limited food options on a pre-made plan, you won’t stick to that diet. If you have a health problem that restricts your diet, a pre-made alkaline diet might not be your healthiest option.